Tooth decay is a very common and dangerous disease. During tooth decay, there is gradual destruction of the hard tissues of the tooth – its enamel and dentin. According to available statistics, almost 98 percent of the world’s population suffers from this disease. It is impossible to avoid it. The only thing that can be done is to try to prevent unpleasant consequences. 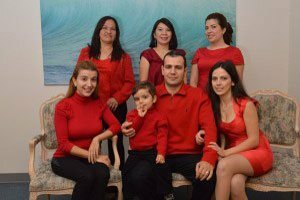 The Burbank dentist, Dr. Sahakyan has years of experience in diagnosing and treating tooth decay. Call 1-818-578-2332 to schedule an appointment today. The main cause of tooth decay is the effect of organic acids on the tooth enamel. First, tooth decay gradually erodes the enamel. Then decay penetrates to the dentin (the layer under the enamel), and moves farther inside the tooth, affecting all hard tissues, including the root. features of the anatomical structure of the teeth. There are several stages of tooth decay. However, there is no clear boundary between them, and each stage smoothly flows into the next. In stage one, a barely noticeable stain appears on the tooth enamel. It can be both chalky (to have a white color) or pigmented (to have a black or brown shade). In this case, no painful sensations are observed. Because of this, many people blame the appearance of stains on plaque and do not go to the dentist. Usually, patients come to the dental office only after the appearance of pain. It is quite difficult to diagnose cavity at the early stage even for an experienced dentist. Therefore, a special test is used to determine the disease. At this early stage, it is still possible to stop the process of tooth decay and restore tooth enamel. If a cavity is detected at an early stage, then it is quite possible that remineralizing procedures can correct the situation. In the course of treating the damaged tooth, the surface is treated with fluoride toothpaste. In stage two, changes are visually visible on the tooth. There is no pain yet, but the reaction of the tooth to hot or cold food or drinks is already noted. The cavity at this stage affects only the surface of the tooth, without penetrating into its tissues. It often happens that the cavity “hides” between the teeth. If a cavity is present on the inner side of the oral cavity, it is difficult to notice it. 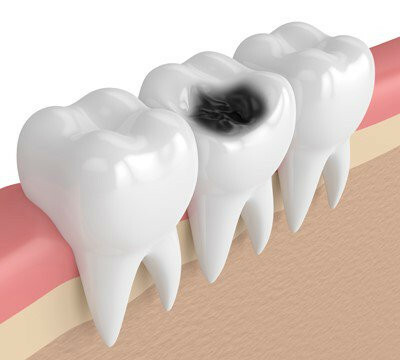 In some cases, at this stage of the disease, small brown or black spots, yellow or white patches, as well as defects of enamel can be observed on patients teeth. At this stage, remineralizing procedures can no longer be done – treatment in a dental office is required. The easiest way of treatment is tooth filling. The dentist removes the infected tooth tissue using a boron machine, processes the cavity and installs a filling. As a rule, since the cavity has not yet deeply struck the tooth, during the treatment the patient does not experience pain and does not need anesthesia. The superficial stage of the cavity is treated with laser therapy. If you ignore the beginning symptoms, the surface cavity will develop and will affect not only the tooth enamel but also the inner layer of the tooth – dentin. At this stage, the tooth already forms a cavity area. It starts to hurt, reacts to hot and cold, food gets stuck in it. Visually, dark spots or small cracks will be visible on the affected tooth. Treatment that the Burbank dentist selects depends on the degree of spread of cavity lesions and the condition of the tooth. Most often, the decay area is prepared, the affected dental tissue is removed and the tooth is filled. These actions are usually performed under anesthesia, as the patient may experience pain. A filling can be used to stop the onslaught of bacteria attacking the tooth in order to preclude the cavity from reaching the tooth’s most crucial component: the pulp. If you have not taken care of the treatment of cavity in advance, the probability of pulpitis is high. Pulpitis is an inflammation of the nerve of the tooth, perhaps one of the most frequent moments when you have to visit the dentist. Pulpit pains are characterized by sharpness. The nerve bundle of the tooth is very sensitive to any inflammatory process. It is very difficult to endure such pain for a long time. An immediate visit to the dentist Burbank is required. In the final stage of a cavity, the infection has achieved the end of the root and exited the tip of the tooth’s structure. This infects the neighboring tissues and perhaps the bone structure. Swelling would be unremarkable and pain would be very heavy. 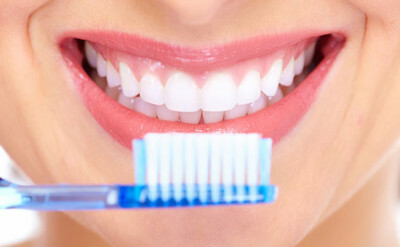 To protect teeth from tooth decay, it is necessary to clean them with sweeping movements. You need to spend on this procedure at least two to three minutes in the morning and in the evening. We should not forget about cleaning the tongue. After eating it is recommended to rinse your mouth. Nutrition also affects the possibility of the cavity. After eating sweet or very sour, drink water or rinse your mouth. Eat more vegetables and fruits containing vitamins C and D, as well as foods rich in calcium and fluoride. Especially beneficial effects on the health of teeth have raw carrots. Visiting the dentist should be every six months to detect tooth decay at an early stage and prevent its development. Often tooth decay can cause more serious dental diseases, so you need to be attentive to the health of the oral cavity. You need to apply preventive measures and not neglect visits to the dentist. Only healthy teeth can be beautiful. It is important to monitor their condition and, if necessary, choose a good dental office with advanced technologies and qualified specialists. Contact the best dentist in Burbank, Dr. Sahakyan for a consultation today. For more information, call 1-818-578-2332.